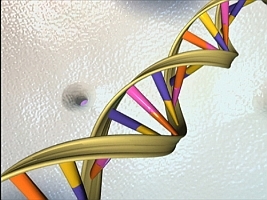 A new online database developed by Johns Hopkins University in Baltimore and Baylor College of Medicine in Houston will make it possible for researchers and clinicans to collect data on diseases caused by single faulty genes. The database, known as PhenoDB is described in a recent online issue of the journal Human Mutation. PhenoDB is a project of the Centers for Mendelian Genomics, a consortium of Johns Hopkins and Baylor College of Medicine, with Yale University and University of Washington. Mendelian disorders are caused by changes in single genes and inherited in the manner described by 19th century Austrian monk Gregor Mendel. These conditions include the well-known disorders cystic fibrosis and muscular dystrophy, but also about 5,000 diseases that in some cases are so rare they are experienced by only a few dozen families. The database captures phenotypes in a standardized format to describe genetic sequencing information, symptoms, and family history data. Johns Hopkins genetics professor Ada Hamosh, the paper’s lead author, says some 3,000 inherited disorders have been described phenotypically in scientific papers, but whose genetic causes have not yet been pinpointed. Harmosh adds that many other rare single-gene disorders may have not yet made it into the literature.